These documents publish the latest findings, results and methodology of action research being undertaken by a team of young Karimojong from northern Uganda. They started by investigating the strength and livelihoods of Karimojong youth and are now looking into how land use and management is changing in Karamoja. 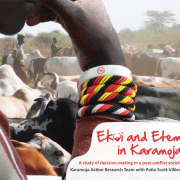 This book publishes the Karamoja Action Research Team’s main findings on Karimojong governance systems, peace and justice. 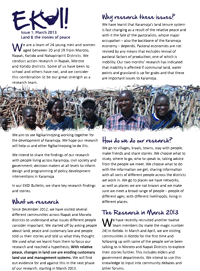 This fourth bulletin from the Karamoja Action Research Team previews their final analysis from 6 months research in Kotido, Napak and Moroto districts. The team share their findings on Karimojong systems for dealing with land and how they have brought elders into their process. The team share their findings on land use and the importance of connections between different people across Karamoja. The first bulletin sharing initial findings of a team of 24 young Karimojong from Kotido, Moroto and Napak districts. 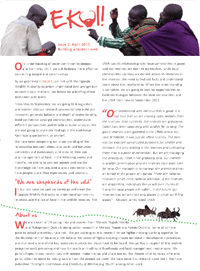 In this first edition, the team share a range of stories about land from different parts of Napak and Moroto districts.